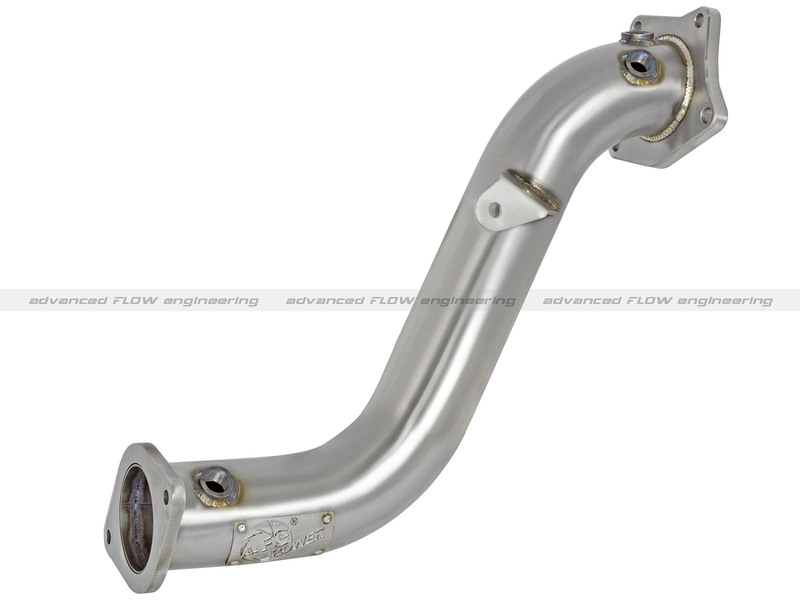 aFe Power is proud to introduce all new Twisted Steel Down-Pipes for the 2013-2016 Cadillac ATS with L4-2.0L (t) engine. These high performance down-pipes deliver the perfect balance of pure, race-inspired performance and sound. The down-pipes are available in either Street or Race versions. 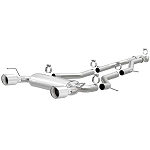 The Street version comes equipped with a 400 CPSI high flow catalytic converter for optimum flow. In recent testing the “Street” down-pipe produced +18 horsepower and +21 lbs. x ft. of torque on their in-house dyno. 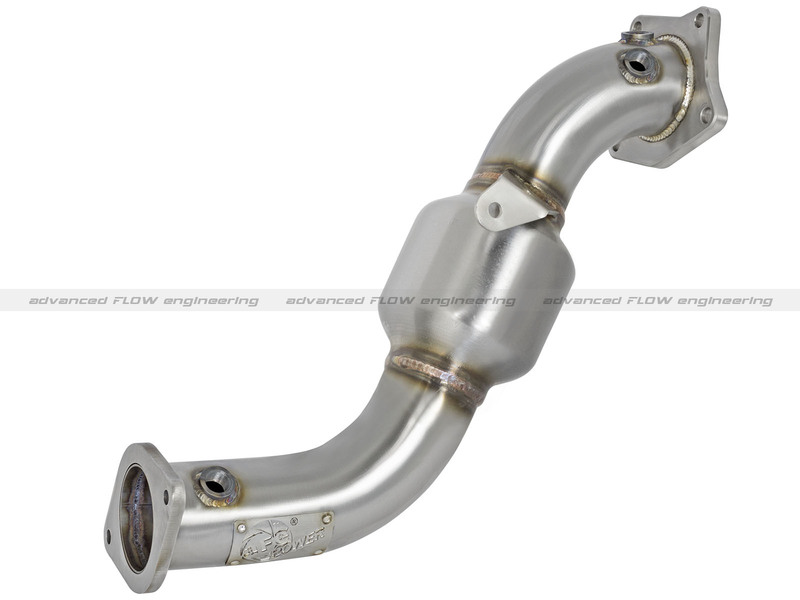 These performance down-pipes are constructed out of 3-inch high quality, brushed finish, 304 stainless steel tubing that is mandrel-bent to reduce restriction and improve efficiency. The down-pipes come with an additional bung for either a wide-band oxygen sensor gauge or auxiliary instrumentation and utilize half-inch thick, 304 stainless steel laser-cut flanges for a superior seal. These down-pipes are a direct bolt-on system which requires no cutting or drilling and include an O-ring and mounting hardware for a hassle-free installation. 499 points will be rewarded to you when you buy this item.